Be at practice 15 minutes early. Be ready and warmed up by the scheduled start time. 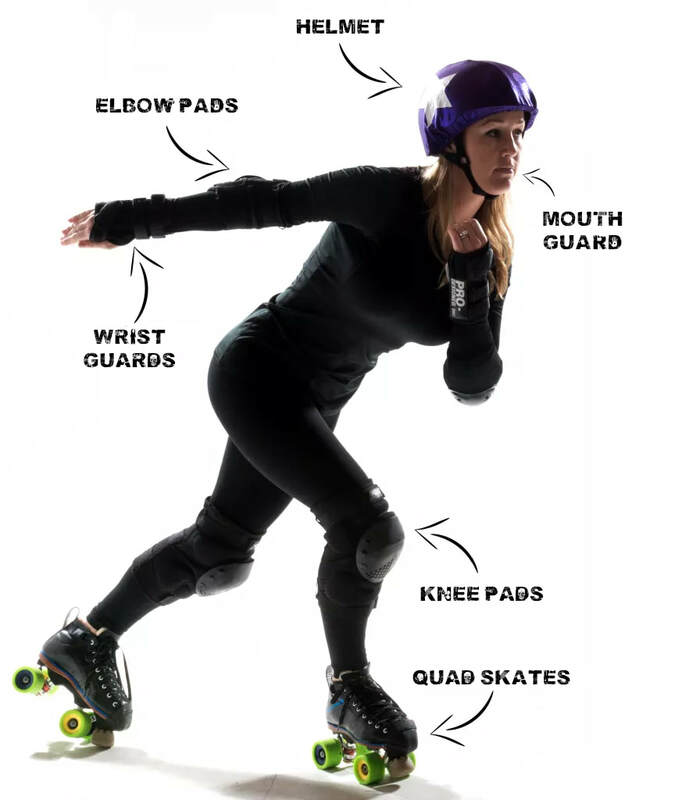 Roller derby is a full-contact sport! You will need the equipment listed below. ​​Equipment can be purchased from online merchants like our sponsor, Derby Warehouse. ​Contact us with any questions or for gear recommendations.